Albert Architecture is a full-service based professional architectural firm located in New Orleans, Louisiana since its inception in 2000. Founded by Richard Albert, the firm focuses on projects that enliven the local community, through an interactive collaboration of goals, ideas, and design solutions between the client and the architect. Richard Albert brings over 20 years of proven architectural experience to the projects he works on. He is a hands-on principal with a strong passion for design and an appreciation for value. He has found that most clients enjoy an active role in the design process and believes that communication is key to success. Albert leads a team of 11 professionals, composed of graduates from University of Louisiana, Tulane University, Virginia Tech, University of Tennessee, University of Alabama, and Arizona State University. Our staff members are LEED accredited professionals, experienced in Revit and BIM, and are geographically diverse. 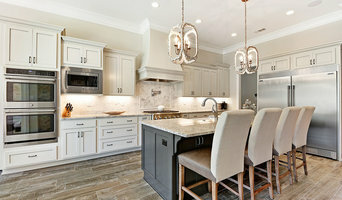 St. Tammany's Experienced Architect & Designer - 4x Best of Houzz! P.A.S. Interiors, LLC offers professional planning and design consulting services that bridge architecture with interior design to create beautiful, functional, and environmentally responsible building interiors. Digital real estate marketing services: Virtual Staging, 3D renderings, 3D Floor Plans, Schematic 2D Floor Plans from Matterport tours and construction blueprints. Owner of EMB Interiors, Ellen Bajon, employs a full office staff and design team to handle a multitude of design projects. EMB Interiors features a 5,000sf Showroom offering classic furniture, custom upholstery, and distinctive accessories from some of the finest manufacturers in the industry. See our list of product lines that we offer. Whether you are renovating, building a new construction, or face-lifting a tired room, we seek to foster a long lasting relationship with each of our clients. Our objective is for clients to be profoundly struck by the simplistic elegance of a room in which friends and family are comfortably entertained. We pride ourselves on our 20 plus years of knowledge and experience to guide our clients through the many choices that come with designing their home. Designing with style – The Owners and Senior Designers, Ross Hebert and Mark Henry, have been designing homes together on the Northshore since the early 1980’s. They have designed homes for builders and individuals alike. Working with the top builders in the area, they have obtained the knowledge of home construction needed to design simple to complex designs so that your plan will be structurally sound, financially feasible and have great curb appeal. We advise our customers not to concentrate on the style of home you like but the floor plan, in which you will live day to day. We can change the outside to any style and create the home of your dreams. Architecture and design are, to a large extent, sculptural art forms involving and even unveiling the human spirit. We are given the opportunity daily to dream for our clients, to connect their hopes with a very defined sense of place. From the earliest programming and design phases, the client’s visions are considered an extension of the built environment we have been asked to create. Each space is designed to evoke inspiration and investment in one’s sense of place. At Brian Gille Architects we are dedicated to creating good places in which to work, to live and to dream. A broad educational background has allowed principal Brian Gille to enhance his ability to assimilate complex design programs and assemble them into creative building solutions. Mr. Gille also places a great emphasis on the variety of experiences he has received as a design professional. His association with award-winning architects across the country has brought to Brian Gille Architects the ability to address a wide range of building issues with innovative design. Mr. Gille is a registered architect in Louisiana and is certified by the National Council of Architectural Registration Boards (NCARB). Volume Zero architectural design studio is the husband-and-wife design firm of architects Michael Cajski and Van Tran. We take pride in our work and enjoy immersing ourselves in challenging projects. We consider our work to be a craft, and we look for clients who appreciate quality in design and construction. As designers, we strive for simplicity, expressive detail, and sensitivity to the project site. We do not allow style to define or limit our work. Rusty Meyer brings with him a unique lifetime of experience in the designing and building of homes. He was raised in a construction household where his father was a builder/developer. As a child, he would sketch out plans he hoped his father would one day build. It was at this young age he knew being a designer was his calling. This valuable exposure early in life to the actual construction of a home enabled him to fuse his critical eye with the practical side of building that would differentiate him as designer later in life. Turning his childhood hopes into a reality, Rusty chose to pursue his dream of becoming a designer. A major component of that effort resulted from working for his stepfather’s design company for 10 years. It was there he excelled, and decided he had reached a point to begin making a name for himself. In 2001, Rusty established Pinnacle Home Designs, a business that has allowed him to focus on his vision of bringing clients beautiful and thoughtfully designed homes. His experiences and unique exposure to all steps in creating a home has enhanced his ability to consider many of the details that clients may not notice or think to ask about, but always appreciate once their plans are constructed. Additionally, Rusty’s experiences in the conceptual as well as the practical phases of the design/build process allows him to understand the viewpoints of all parties involved in the project from the client to the contractor. His plans are always ‘builder ready’ and his personal approach involves his clients throughout the entire process. Through his stock plans and custom home designs, he has helped hundreds of people turn their visions of beautiful homes into livable realities. Full service architectural firm with varied experience in both Commercial and Residential projects. Edward H. Wikoff has experience with a diverse client base and building types that has fostered a respect or differing design styles. Personal preferences for both period and contemporary design can be seen in the balance of eclectic and contemporary objects and materials evident in their own home. This architect allows the project type, context and client determine the appropriate style with the Client and community benefitting in the end. N.C.B.D.C Certified Professional Building Designer experienced in Custom Home and Light Commercial Design. A Residential Design Specialist with over 40 years of experience. Dennis Brady Architect is a New Orleans based architecture firm with extensive international experience and a strong commitment to Louisiana and the Gulf South. Over the past 35 years of independent practice, Dennis has maintained offices in New Orleans with interludes in Saudi Arabia, Kuwait, and Tunisia. Dennis Brady Associates is a full service architecture firm specializing in Historic Renovations as well as Contemporary Residential and Commercial Buildings. Prior to independent practice, Dennis worked in the office of Norman Foster (London), The Architect's Collaborative (Cambridge) and Perez Associated (New Orleans), where he was involved in planning the 1984 World's Fair. Dennis holds a Masters of Architecture from MIT, following a stint in the Peace Corps and an undergraduate degree from LSU. Award Winning Residential Designer - come visit us for your next house plans. Providing Stock and Custom Home plans for clients around the country. Debra Taylor Purvis, CPBD AIBD is the president and principle designer for DesignHouse Inc. Debra has been a member of the American Institute of Building Design since 1991, and a residential designer for several national publishers. Debra is recognized as a Certified Professional Building Designer through the National Council of Building Designer Certification. She has been designing homes for more than 25 years and has won several national awards for her house plan designs. How do I find the best Saint Benedict architect for my home design project? It is best to hire a home architect who will be involved in all phases of the design process, from the initial concept to the completed construction. The architect is often the first person you will hire for your project. If necessary, they might also help you select and hire Louisiana subcontractors, which can include the builders, engineers and landscaper. Interior architects are also involved in negotiating contracts for all involved participants. It is for these reasons that it is extremely important for you to have a good relationship with the Saint Benedict residential architect you hire. He or she can be the tie-breaking vote between you and the general contractor and can be your biggest advocate during the construction process. Different architecture firms in Saint Benedict, LA provide different services, so the scope of the work can span from pre-design environmental impact studies to selecting furniture and finishes, depending on what your specific needs are. It is very important to hire the right professional for the job. Remember that the most well-known or established designer might not provide the best architectural services for your needs. It all comes down to the individual project. Research and ask people whose work you like for recommendations. It's important to have somewhat of an idea of the style of house architecture that you prefer, as well as the amount you would like to spend. 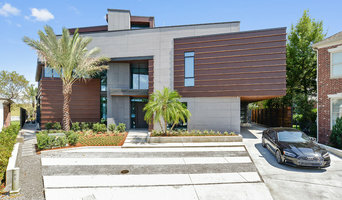 Residential architects in Saint Benedict, LA are natural problem solvers. They will assess the entire situation and help you to solve your problems too. Don't settle for a single company too early. Call and interview a few. Make sure that you feel like your personalities will mesh well and that you like their professional perspective. 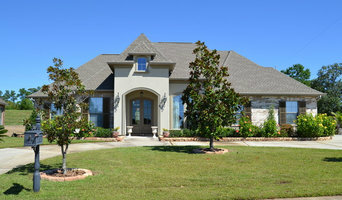 Find a home architect in Saint Benedict, LA on Houzz. Narrow your search in the Professionals section of the website to Saint Benedict architects. You may also look through photos of Louisiana projects to find interior architects and building designers who have worked on a project similar to yours.